The Ducati Scrambler is a hero of sorts in Borgo Panigale and that's for more reasons than one. 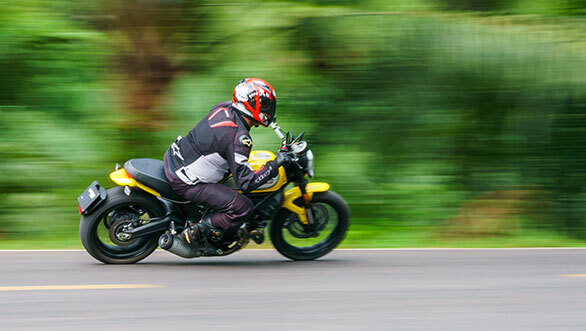 Developed in keeping with the Ethos of the 1962 Ducati Scrambler, the new age motorcycle brought motorcyclists, both experienced and newbies, an easy to ride, fun motorcycle. It's no surprise that it went on to sell in big numbers since its launch in 2014, and to date, is among Ducati's best selling models. In India too, the Ducati Scrambler was well received. But the competition has caught up and that meant Ducati had to refresh its bread and butter model. 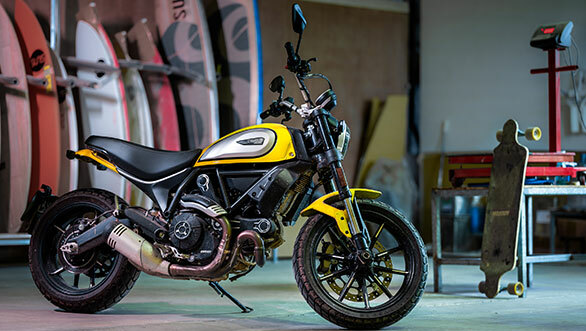 Here it is, the 2019 Scrambler Icon 800. Yes, it does and that's because Ducati didn't want to deviate from the shape and silhouette that defines the Scrambler. That said, there are a few cosmetic changes that add a sense of newness. For instance, the shape of the fuel tank is similar to the outgoing model but features a new tank panel, finished in a contrasting shade of silver. It also has a subtle recess to lock your knees in, and that's when you begin to notice the level of attention to detail on the new Scrambler. The headlamp features a bright DRL and an X-shaped motif, similar to what you see on the Scrambler 1100. The alloy wheels are new as well, and I like those silver accents on the spokes. The switchgear has been replaced with a new set and in terms of quality, they are several notches above the switch cubes on the previous model. A cylindrical exhaust can round off the list of change. Overall, the Scrambler's purposeful design with a nice balance between form and function is what appeals to me. The quality of materials, as well as fit and finish, is at par with other Ducatis and you do get a feeling that you are astride an expensive motorcycle. Wasn't the previous model lacking when it came to features? It was certainly lacking to some extent and Ducati has been listening to feedback. So, for 2019, the Scrambler gets a much more comprehensive instrument pod, although on the face of it, it is the same, circular unit. It now displays the fuel level and gear position in addition to ambient temperature, tachometer, odometer and trip meter. The cable operated clutch is replaced by a hydraulic clutch for lighter action while adjustable levers allow a custom fit. In terms of safety, the Scrambler gets a Bosch 9.1 cornering ABS system which, I believe, is essential given our road conditions, and irrespective of the rider's experience. You also have the option to kit your bike with the Ducati Multimedia System (DMS) that allows you to pair your phone via Bluetooth to listen to songs or get a heads up about who's calling. Besides these changes and additions, the new Scrambler carries forward the same engine, transmission and chassis. So, they still possess the same Scrambler character? Yes it does and minus the issues that plagued the previous Scrambler. The 800cc, air-cooled, V-Twin produces the same power and torque but what Ducati has finally managed to take care of is the snatchy throttle. So, while in the previous bike, the fuelling was more like an on/off switch, the new throttle body in the 2019 model has made the power delivery quite linear. The route around Thailand was a mix of fast, windy roads as well as some empty stretches and everywhere, the Scrambler proved to be immense fun. There's a generous amount of torque, right from the bottom end of the rev range and that translates to quick acceleration. Also, the strong mid-range allows you to ride at low speeds in higher gears, highlighting the motor's tractability. At 100kmph, for instance, the tacho is hovering a little below 4,000rpm and while at it, the motor felt unstressed. That said, there's some amount of vibration that you feel in the pegs and the handlebar post 120kmph. The exhaust note is quite addictive and it's something that I love about twin - cylinder Ducatis. Yeah, the emission norms have suffocated the noise levels but it's not disappointing and in fact adds to Scrambler's character. The gear shifts are smooth and positive but I faced a couple of instances of false neutrals in higher gears. I'll leave it to a case of a brand new motorcycle with barely 100km on the clock. It's the corners that reveals the sweet nature of the Scrambler Icon 800. The trellis frame, revised suspension setup and Pirelli tyres are a combo that instill confidence from the word go, and I was surprised by how easy it was to chuck the Scrambler around corners. 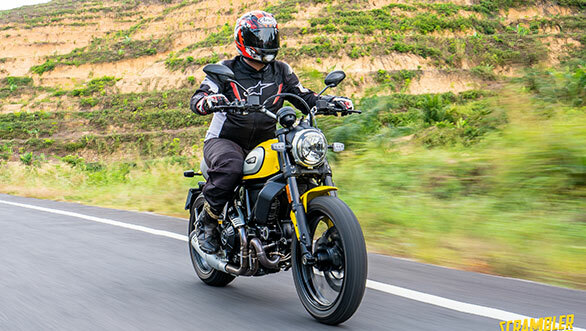 The wide handlebars offer superb leverage to counter steer the bike and once tipped in, the Scrambler sticks to an indented line. Around some of the tight and twisty sections in Khao Lak, Thailand, I revelled in the sweet handling and the best part is that it feels so natural, I can imagine new riders finding it easy to get accustomed to the way the bike behaves around corners. Part of this confidence in the Scrambler also has to do with the softer suspension setup. The outgoing Scrambler's biggest peeve was the stiff suspension that felt harsh over broken roads, expansion gaps and what have you. This was particularly a concern on Indian roads. The new bike, thankfully, is the polar opposite. While there weren't many bumps or potholes on our route, the ones we did encounter were enough to discover the suppleness of the suspension. Initially, the moment I'd see a pothole, or an expansion joint, I'd hold my breath in anticipation of a rude jolt up my shoulders and spine. But, the suspension soaked up the punishment with aplomb and this without upsetting the chassis. This pliancy in the suspension ensures you can carry a fair clip on bad roads, and I'm really intrigued to see how well the Scrambler Icon rides on our roads. The four-piston Brembo brakes are progressive and offer good bite and feedback, and I have no complaints at all. 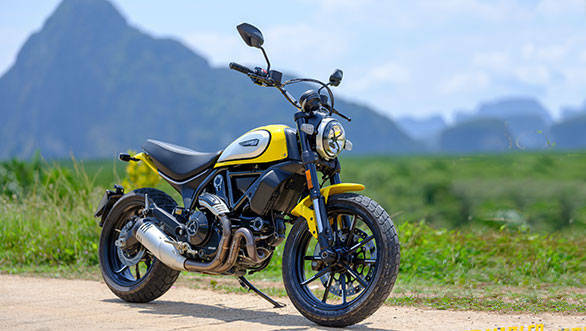 The Ducati Scrambler is and always has been a fun motorcycle to ride, and the updates only elevate the experience. But, what really sticks out about the Scrambler, is its ability to make every ride- short or long, in the city or on mountain roads, involving. It's that factor alone that made riding the new Scrambler so enjoyable. When Ducati launches the bike to India, expect prices to go up marginally, given the additional equipment. But, in my books, it'll be totally worth it.